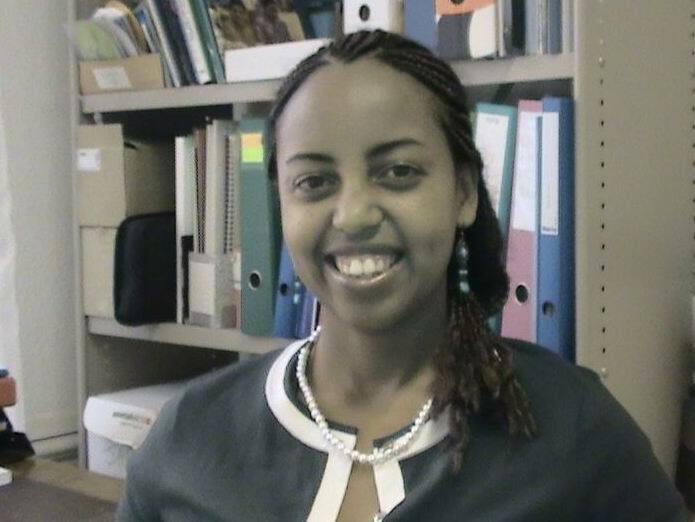 Alemtsehay Zergaw, from the YWCA of Ethiopia, is the new World YWCA intern for 2011. She shares with us her thoughts on the role of women in politics and what is needed for more participation of women in politics and public policy. Our generation is accommodating more and more women in politics across the world – but even more significantly in the developed world. This is clearly because the developed world has a system that encourages and educates women to value civic engagement and helps them to see themselves as empowered leaders in politics and public policy. Studies conducted in the United States demonstrated that the public has more interest in women leaders. For instance, in a 2008 study it was found that the public would like to see more women in politics and public policy. Another question to explore is whether women in public office have a distinct impact on public policy? Do women have a different political interest than men, and under what circumstances and conditions? Can women officeholders bring to the office important perspectives and priorities that are underrepresented in a male dominated policy making environment? An extensive study made by the centre for the American Woman and Politics (CAWP) demonstrated that the impact of women lawmakers on public policy is profound and distinct. The three major findings of this study were that women public officials: 1) have different policy priorities, i.e. they are more likely to give priorities to women’s rights policies; they are also more likely to give priority to public policies related to women’s traditional roles as caregivers in the family and society; 2) that they are more active on women’s legislation, whether or not it is their top priority, and 3) that they are more feminist and more liberal in their attitudes on major public policy issues. The report outlines steps which may be taken to expand women’s participation in politics, focusing on those findings which are relevant and useful for women interested in seeking public office and for people who conduct programmes to increase women’s numbers in public life. However, for women politicians to succeed in office, it is necessary to strengthen their capacity for leadership. It is also necessary that voters support them. Believing in women’s experience to bring about wider social change and an end to inequality in particular, training for women who are running for office needs to ensure that women are willing and able to promote gender equality while governing. In the US women rocked the world 1920 when they gained the right to vote, and they shook things up again in 1992 when women come out to vote in record numbers. However, since those great victories the involvement of women in politics has reached a plateau. Young women today don’t have the views of their mothers. They see themselves as ‘post-feminists’ with all the same opportunities as men. Even though they have all the confidence in the word women only represent 15% of the world’s elected officials. In America political analysts’ say a gender gap is to blame for the underrepresentation of women. They still take on most of the responsibility in the home, people still view political figures as men and most women don’t even have politics on their radar. Women have made enormous progress in the political arena, but they still have a long way to go before there is equal representation. Welcome Alemtsehay, We need young women in the YWCA movement like yourself to engage directly in politics. An inter-generational balance can benefit all countries to see the true spectrum of issues, and most often younger women are not present.. I hope you will encourage this with more articles. My own experience in local Swiss politics is that women work across party lines for issues that they value strongly and your three points are pertinent. You’re applying for the Womanetics scholarship, aren’t you? So am I!!! Good Luck!! Actually no matter if someone doesn’t understand afterward its up to other viewers that they will help, so here it happens.